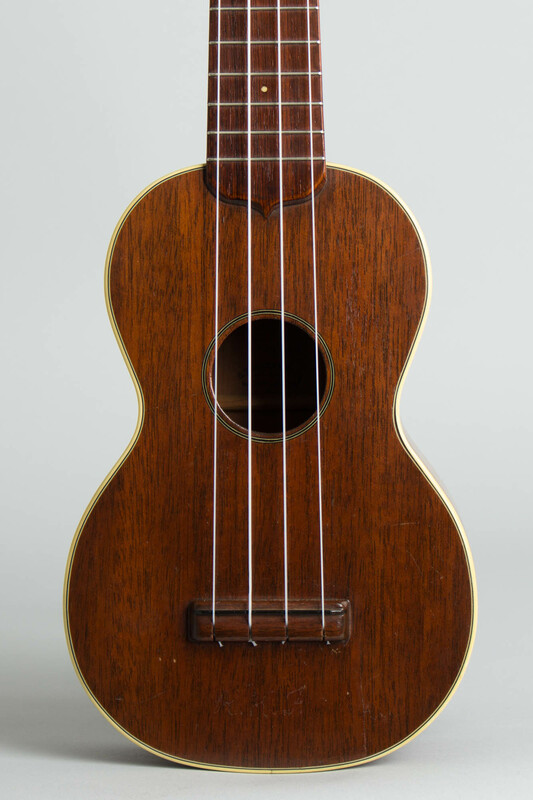 C. F. Martin Style 2 Model Soprano Ukulele (1950's), made in Nazareth, PA, natural lacquer finish, mahogany body and neck, rosewood fingerboard, original two-tone chipboard case. 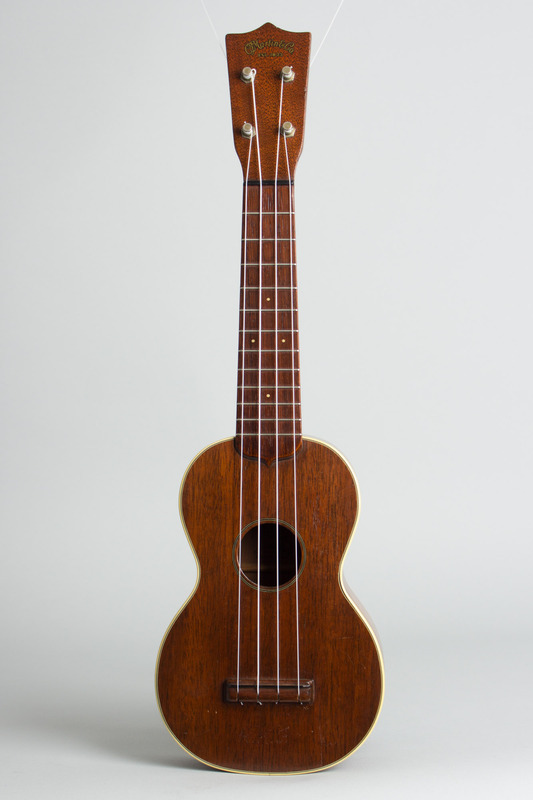 Overall length is 21 in. (53.3 cm. 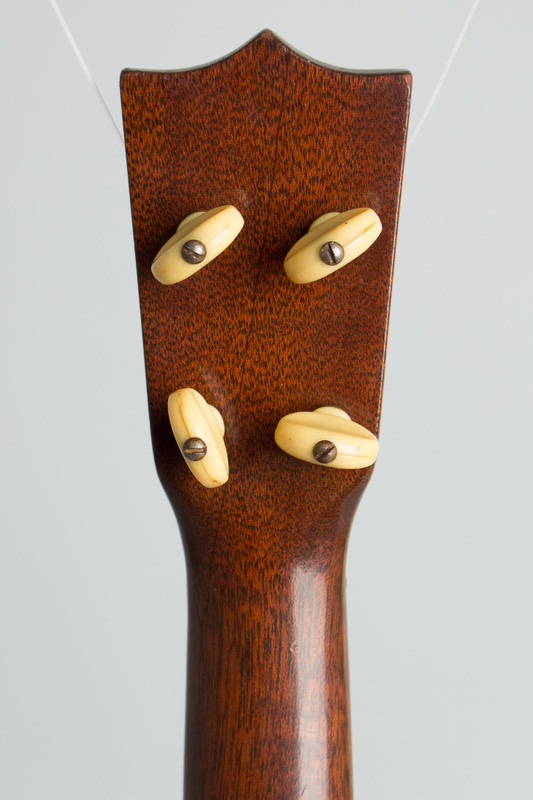 ), 6 3/8 in. (16.2 cm.) wide at lower bout, and 2 1/4 in. (5.7 cm.) in depth, measured at side of rim. 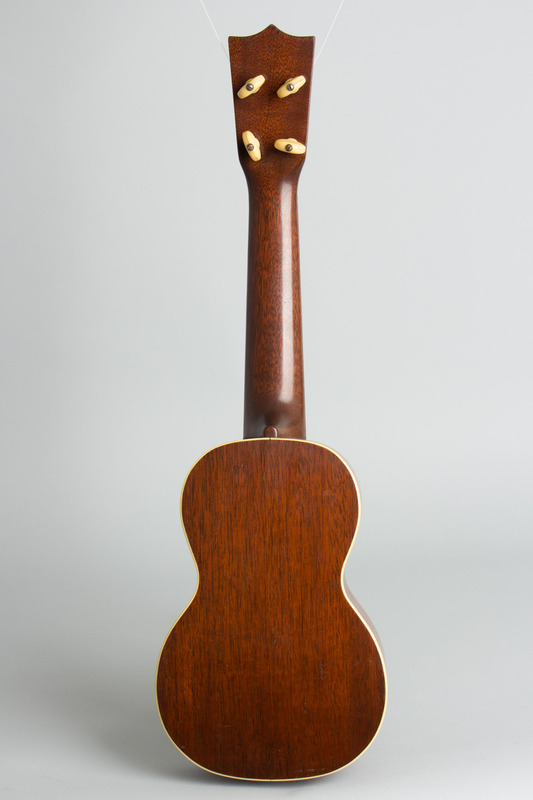 Scale length is 13 5/8 in. (346 mm.). Width of nut is 1 7/16 in. (36 mm.). 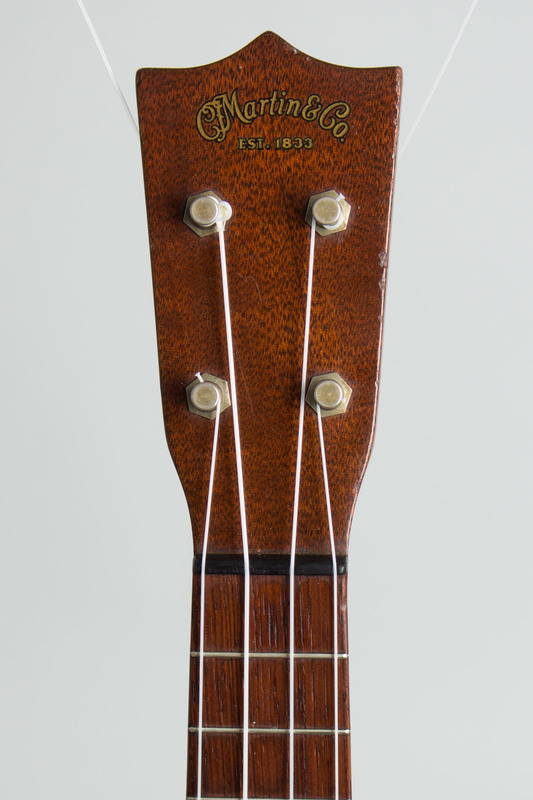 A nice example of Martin's mid-line 1950's uke overall, not heavily used and without much play wear. There is a repair to the top behind the bridge off the lower treble edge, what looks like a small impact spot solidly sealed up but visible with no added finish. 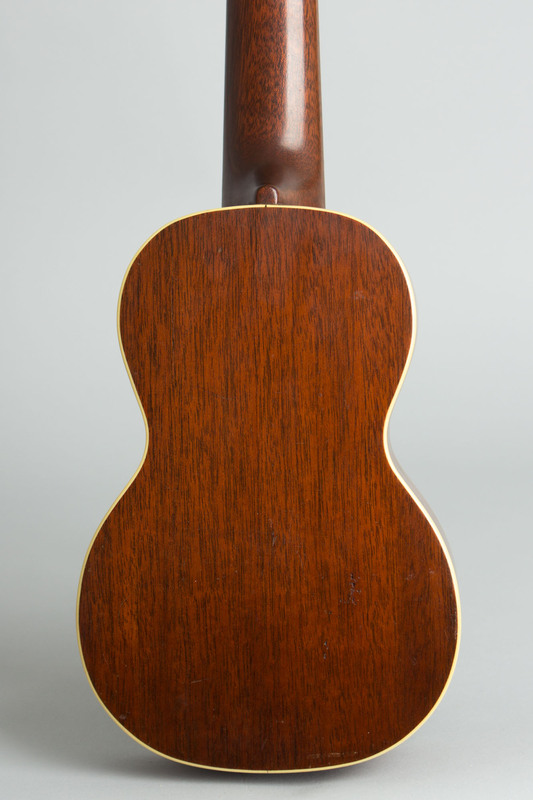 There is also a small repaired grain crack to the side on the lower bass bout. The initials "R.K.F." are very subtly and neatly incised into the finish behind the bridge-this is relatively inconspicuous. 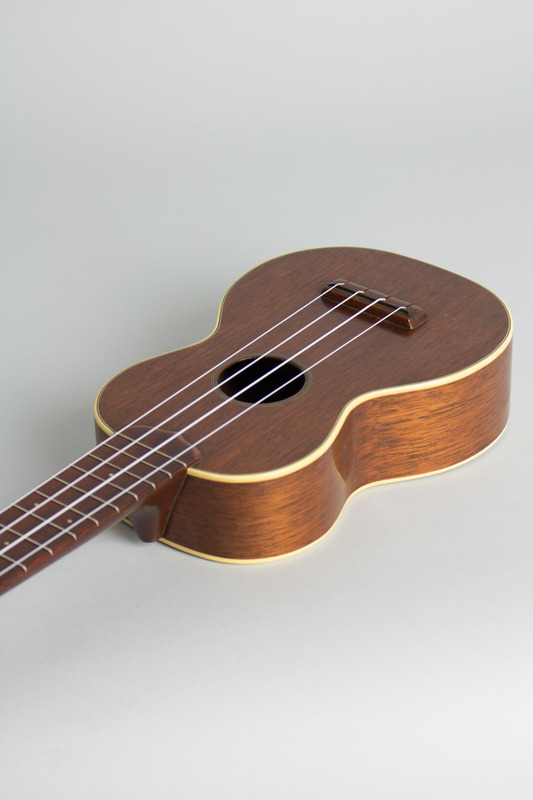 The uke is an excellent playing and sounding Martin, ready to go in its original two-tone chipboard case and priced to reflect its repair history. Overall Excellent - Condition.